About 50 percent of the energy used in a typical Bridgeport home today is spent on heating and cooling, according to the U.S. Environmental Protection Agency (EPA). It's no wonder that your utility bills can be as unpredictable as the weather! Now is the time to learn a little bit about the new government standards affecting air conditioners and heat pumps and to consider purchasing a new home comfort system that could help you save substantial money over the years ahead. 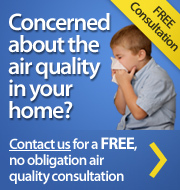 Schedule a qualified Bridgeport heating and cooling contractor to inspect your central air system. Remember to check the system's filter each month and clean or replace it. Consider installing a programmable thermostat, which can save about $100 each year in energy costs, according to the EPA. Use ceiling fans and portable fans to circulate air inside your Bridgeport home. Do not run a central air conditioner when the outdoor air temperature is below 70 F. Operating a residential air conditioner in cool temperatures may cause premature compressor failure. Instead, ventilate your home by opening windows. Avoid using appliances that consume a lot of energy during the day when the outside temperature rises-wash dishes and clothes in the early morning or late evening. This will reduce heat and humidity levels in your Bridgeport home. If you're looking for a Bridgeport HVAC contractor, then give us a call today at 914.777.5030 or complete our online request form.